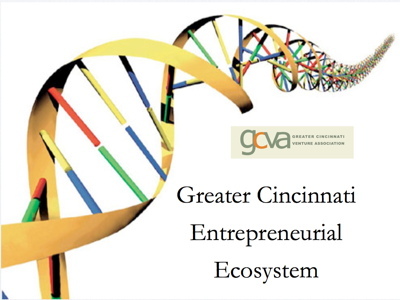 Back in 2001, Jack Wyant, “The Godfather” of the Cincinnati Venture Capital scene, delivered a presentation during the state of the venture capital address to the Greater Cincinnati Venture Association. Using a puzzle as the framework, Jack described the rich resources at our fingertips – we just have to connect the dots. Click here to view a copy of the presentation. The Entrepreneurial Ecosystem description in this document describes the latest resources available to all of us. If you find something missing, email us at gcvaadmin@gmail.com and we’ll add it to the presentation! Very nice post. I simply stumbled upon your weblog and wished to mention that I’ve truly enjoyed browsing your weblog posts. After all I will be subscribing in your rss feed and I am hoping you write once more very soon!